This year, we see the first of what will hopefully become a regular, annual event. The St Mawes Boat Show. The event will take place on the 25th July right in the heart of St Mawes on the quay, although there will be plenty going on right throughout the village. The aim of the Boat Show is to provide a showcase for the excellent maritime businesses that are established in St Mawes, Falmouth and all around the Carrick Roads, and what better places to hold it than in one of the most scenic harbours in the country. There will be plenty of opportunities for folk to get immersed in the activities with taster sessions on offer such as kayaking, RIB rides, paddle boarding and dingy sailing. Naturally there will be no lack of lovely Cornish food and drink accompanied with live music! Some of the businesses proudly showing there abilities include marine engineers, ferry companies, boat builders, marine leisure experts and Mylor Harbours Marine team will have a host of offerings. 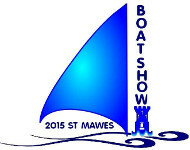 Exhibitors include: Rustlet Yachts, Cockwells of Falmouth, DL Marine, Falmouth Lifeboat and more. The weekend of the 25th July is promising to be very busy indeed! XS Ribs - Builders Of Rib Inflatable Boats. We sell NEW and USED Packages @ the best prices. UK Manufacturer, we Retube & Refit craft. 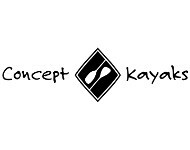 Concept Kayaks - Every Concept Kayak has been developed to be best in class for performance and practical design, subtle features built into every kayak. 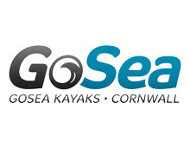 GoSea Kayaks - Go Sea are the largest provider of sit on top kayaks in the South West, we provide quality kayaks at unbeatable prices. St Mawes Kayaks, Mini Cruises & Water Taxi - Kayaks available for hire in St Mawes. Mini cruises on a RIB and water taxi also available. St Mawes Harbour - St Mawes is renowned as a haven for the keen sailing enthusiast, with its picturesque harbour and with access to some of the finest sailing waters in the UK.